Walton Primo GH7 is an entry-level smartphone with low-class specs, made specifically for those on a budget. The device has an attractive body and retails at a giveaway price as well. The company is known for making budget friendly smartphones and the Primo GH7 made the cut obviously. Lets see what the Walton Primo GH7 have in store for us today. 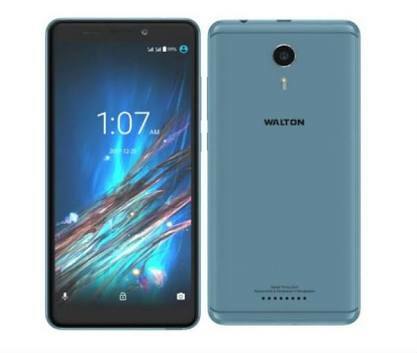 What is Walton Primo GH7 Price and Availability Status? Covered in a sleek Plastic body that’s quite attractive and presentable. Definitely better looking than most budget smartphone. There’s no rear fingerprint scanner anywhere on the device, which might be a turn-off for most. Just the rear camera at the top middle and the LED flash underneath, while the Walton logo is in the place of the fingerprint scanner. It measures 8.95mm in thickness and weighs just 176g overall. In terms of colors, it’s available in Blue, Black, Gold and Silver. It’s not entirely bezel-less, but the bezels are super minimal compared to other budget smartphones. The top and bottom bezel is not as much as expected, while the narrow bezel also follows in that trend. The 5.45-inch IPS FWVGA capacitive touchscreen has a resolution of 960 x 480 pixels. Not really disappointing for a budget smartphone, but not better than most in this department. Furthermore, it has a low pixel per inch density of just 197. The screen stretches up to 71.93% screen to body ratio, dishing out more screen than most budget smartphones. Behind the screen is the MediaTek MT6580M chip with quad-core processor and 32-bit CPU architecture. The 4-cores of processor reaches a clock speed of just 1.3GHz with 28nm process technology for a smooth ride. Handling graphics is the ARM Mali-400 MP2 graphics processor that clocks at 416MHz. For smooth multitasking through light apps, just 1GB RAM space is available here alongside a memory speed of 533MHz. Store up files and apps in the 8GB storage space which is available as well. Upgrade further whenever you want up to 64GB with a memory card. The Walton Primo GH7 runs on Android 7.0 Nougat operating system. The 8MP rear camera is a little disappointing, capturing photographs with just 2828 x 2828 pixels in dimension. The camera comes with a LED flash and other features like Autofocus, Continuous shooting, Exposure compensation, Face detection and others. Even the 5MP selfie camera comes with a LED flash as well, for night selfies. Powering the Walton Primo GH7 is a 2500mAh Removable Li-Ion battery with no fast charging technology. Even without the fast charging feature, it shouldn’t take up to 2 hours to fully charge up the battery from 0% to 100%. The Walton Primo GH7 is available on Shopping stores from $59 (N20,000) to $79 (N25,000). 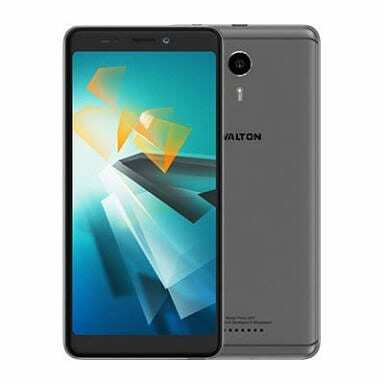 Click on the links above to view the latest Walton Primo GH7 price & availability on Shopping stores.